Hey guys! 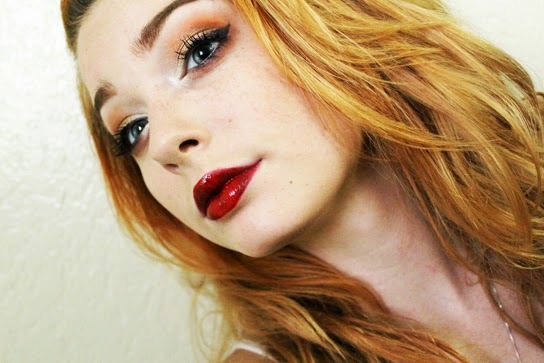 Here is a coppery, golden look with a little pop of purple and red lipstick! I have to say, I hate the eyeliner I used. It is so hard to work with, gets stuck in your eyelashes and the color isn't that great. In my opinion, you can't even tell it's purple from the pictures. Its Hard Candy Walk the Line Liquid Liner. Never buying it again!